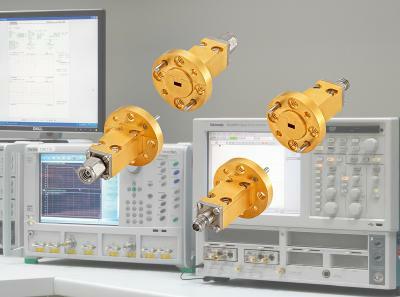 Rosenberger has developed a product family which offers an intelligent alternative to mechanical connecting. 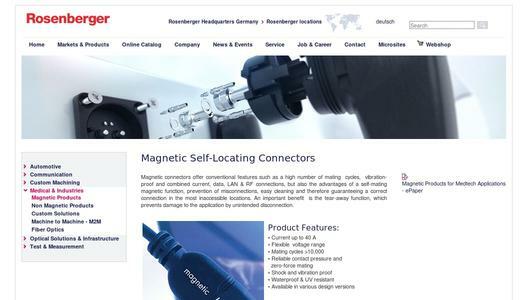 Our magnetic connectors support all standard functions, including a high number of mating cycles and vibration resistance. 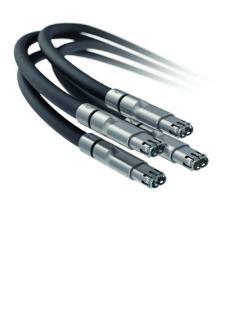 They are also suitable for power and signal transmission. Furthermore, they come complete with the benefit of automatic magnetic connection and are easy to clean. They can thus be relied upon for correct connection even in locations that are difficult to access. A major advantage is the break-away function, which prevents damage caused by unintentional disconnection. 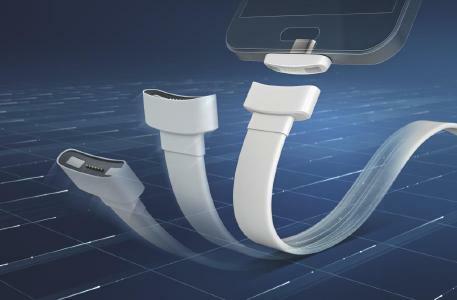 Possible applications for the magnetic connectors include charging and synchronizing smartphones, tablets, and cameras as well as connecting printers and hard drives. 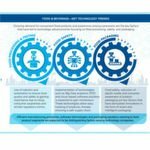 Other applications include medical devices, electric wheelchairs, hospital infotainment systems, and consumer products such as kitchen appliances, data glasses, and even automation technology. More than 1,800 people are employed today at the Rosenberger headquarters in Fridolfing/Tittmoning (Upper Bavaria, Germany). Worldwide, the Rosenberger group operates manufacturing and assembly locations as well as Rosenberger sales offices in Europe, Asia and North and South America where - in total - approx. 7,500 employees develop, produce and sell our products.